Rawlins Paints have prepared a carefully selected range of surface preparation products, including primers, reinforcement fleeces and preparation solutions for interior and exterior walls and ceilings prior to the application of our paints and coatings. These products improve adhesion, spreading rates and overall system life and should be used before starting any painting project. Ensuring the surface is sufficiently cleaned, selecting the right primer for the substrate, using a filler to make the surface good before painting are all things most of us fail to do, but these crucial steps are the most common reason for a paint or coating failing. Featuring a wide range of problem-solving paints and coatings from Blackfriar Professional, Coo-Var, Mathys, Rust-Oleum, Sika, Teamac, Thermilate and Zinsser, these products can transform formerly difficult surfaces including glass, previously glossed or varnished surfaces, vinyl, wallpaper, water-stained walls, nicotine stained and odorous units, into as good as new surfaces ready for a bright new colourful topcoat. 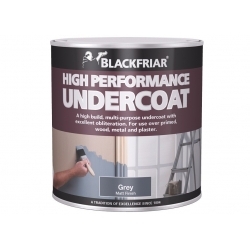 Blackfriar High Performance Undercoat provides the ideal foundation prior to the application of the finishing coat of paint. A colourless impregnating primer for porous, mineral substrates such as concrete, breeze block, bricks, etc. before painting them with waterborne paints. Choosing the right topcoat for renovation or rejuvenation projects may seem like the most important stage, but it is merely the tip of the iceberg – and what really counts is the surface and substrate preparation stages. Legacy stains, materials, mould, algae, bold colours and worse can reappear quickly, or through a slow, more corrosive time, leading to further work and expense to get right the preparation, priming and undercoating tasks which should’ve been done to start with. It is estimated that 75% of paint systems fail due to improper or incomplete surface preparation work. So, what is involved in surface preparation? Which products accomplish the required result in a full system? How does one paint surfaces that standard coatings simply will not adhere to? After the initial cleaning stage – removing grease, oil, remnants of cleaning products, dust, salt, dirt and loose debris and materials, along with filling in any gaps, holes and cracks in the surface or substrate - the real work can begin and the answers to the following questions become a major part of future maintenance, repair and decoration projects from small touch-up jobs, to major workplace projects – both internally and externally. Surface preparation and first coating products are not particularly interchangeable, and knowing what results to expect from a primer or an undercoat/basecoat is important. Along with this, it is important to note whether the topcoat system you are to use is recommended for use only on water-based or solvent-based products, or indeed both. For bare or new surfaces and untreated substrates, a primer can bond porous materials, as well as seal, hide and bond upon drying to form a strong and dependable foundation for a topcoat. Primers that seal and bind stains, bad odours and smoke damage, will require a topcoat for the shadow of bad stains and damage to be covered. The primer will not allow further bleed of the problem through to the new topcoat surface layer – although it may be slightly visible after the primer has sealed it. On metal, a primer will inhibit its corrosivity and help prevent rust. Some metal topcoat systems do consist of one-coat products, but in corrosive and high-humidity areas, always use a metal primer, too. The best performing, best looking and aesthetically pleasing, and longer-lasting topcoat systems include a primer as the first coat. 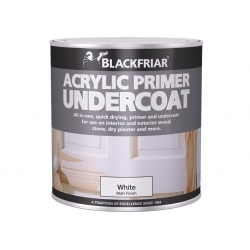 Primers can be followed by undercoats, if required, to build the thickness of the paint film, give improved opacity, to improve stain blocking functionality of the basecoat system, to further fill depressions, cracks and gaps from the primed substrate or surface. Undercoats, or basecoats, are typically thicker coatings designed to cover a multitude of surface ailments – from filling in and bridging hairline cracks, to levelling minor surface imperfections. You may find that a manufacturer or datasheet also specifies that the undercoat must be sanded prior to a topcoat application. 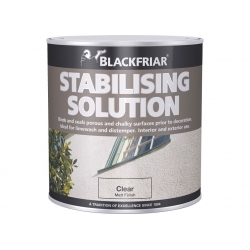 Basecoats can sometimes be closer in comparison to plaster than paint, in levelling and eradicating surface damage, age, and general wear and tear. It is important to colour match a primer or undercoat as closely as possible to the topcoat system. Do not use dark primer or undercoats on stains, to then use a light or white topcoat, as this will require many more coatings to completely mask the underlying contrasting colour. For dark blue topcoats, use medium to dark blue primer or undercoats, where available. For white topcoat systems, use white, or off-white primer/undercoat finishes. The deeper the tone of the surface preparation products, the deeper the tone the topcoat needs to be. For projects where there is minimal surface preparation time available to sand back or de-gloss previously varnished or painted surfaces, Bulls Eye 1-2-3 Plus will provide a surface adhesion promoting coating that is easy to overcoat. Now, painting over gloss skirting boards or doors can be done after basic surface cleaning. Zinsser’s Peel Stop stops peeling paint, quickly. Easy to use and applicable on internal and external surfaces, this primer will allow for successful adhesion of a new topcoat, without any more paint peeling off again. Gardz® is another high-performance interior-use product from Zinsser, for use on damaged walls, failing paints and textured finishes, damaged or new drywall, spackling and joint compound skim coats, calcimine, uncoated wallpaper, lining paper, filler and wallcovering adhesive residue. Zinsser Drywall Pro 2 in 1 is a unique priming and sealing paint too, for preparing damaged drywall, plaster and porous surfaces for painting, wallpapering, texturing and other decorative projects. Please read this post from Rawlins Paints for further information on painting glass surfaces. Zinsser Bulls Eye 1-2-3 Plus is an all-purpose, water-based primer, sealer and stainkiller. It effortlessly deals with hard to paint interior and exterior substrates such as glass, glossy surfaces, ceramic tiles, non-ferrous metal, vinyl, hardboard, melamine, varnish, plastic, GRP, UPVC, wood, masonry and more. Please read this post from Rawlins Paints for further information on painting over vinyl wallpaper. Zinsser Wallpaper Cover-Up is an all-in-one primer, sealer & stain block with high hiding power that obliterates wallpaper print with a smooth matt, off-white finish. It’s the smart way to paint over wallpaper without the need for stripping it, first. It will obliterate garish wallpaper colours and print in just one coat, and can be over painted the same day. 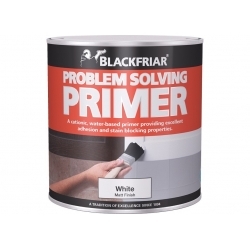 Blackfriar Problem Solving Primer is a multi-purpose primer that seals difficult stains caused by water or mould, and provides excellent adhesion to a range of surfaces. Troublesome stains that this product can cover, include nicotine, water, adhesive residues, soot, and wood tannins. Even the toughest stains do not stand a chance against Zinsser Cover Stain®. Its oil-based formula seals and blocks legacy discolouration and liquids from bleeding through again, like they can do on ordinary surface primers. Say goodbye to old smoke, soot and nicotine stain residues, as they are permanently blocked. Please read this post from Rawlins Paints for further information about painting over, rather than replacing ceramic tiles. Rust-Oleum Tile Transformation Kit is a revolutionary do-it-yourself tile coating system that enables you to easily and affordably transform your tiles. Now, you can paint over old tiles without removing them, leaving tired and worn tiles with an ultra-durable finish that will last for years. Coo-Var Tile and Melamine Primer is an ideal primer for tile and melamine surfaces prior to painting. It is ideal for use in kitchens and bathrooms or other tiled surfaces. Most paints will adhere to this primer, water or oil based. Bulls Eye 1-2-3 is the go-to product for many maintenance managers, as it covers a multitude of stains and inks, as well as binding chalky exterior surfaces, like aluminium, vinyl, or previously painted and decorated siding or trims. Rust-Oleum Mathys Pegalink Universal Adhesion Primer is a water based primer for indoor and outdoor use. It adheres to many surfaces, including UPVC and hard PVC. Designed for all exterior surfaces, Zinsser AllCoat Exterior Satin is also ideal for painting on UPVC. It is self-priming, and will bond to existing glossy surfaces without sanding. Mathys Porisol can be applied undiluted on very porous substrates (cardboard, paper, light kinds of woods), and diluted on substrates with different absorption capacity (plaster, wood-fibre boards, etc.). It can be used as a sealer undiluted on exotic wood, aniline colours and surfaces soiled with coaltar. Mathys Pegafix is a colourless impregnating primer for porous, mineral substrates such as concrete, breeze block, bricks, etc. before painting them with waterborne paints. Mathys Fixonal is a fixating clear varnish based on acrylic polymers to strengthen all porous or chalking substrates. Mathys Fixonal reinforces the adhesion of the new coat on the old paint and makes it more flexible. Please read this post from Rawlins Paints for further information on painting over rust. Rust-Oleum CombiColor is a primer and a topcoat in one that provides protection for years, in minutes. A high quality, one coat maintenance system for metal that can even be applied directly to rust!